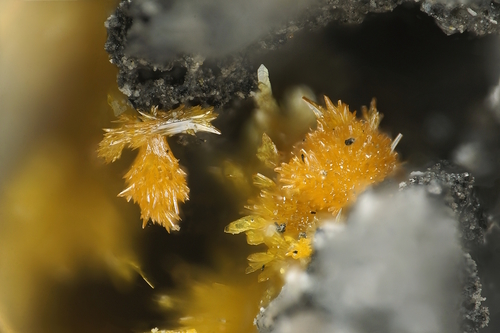 Laphamite: Mineral information, data and localities. Named in honor of Davis M. Lapham (5 May 1931, Glens Falls, New York, USA - 20 December 1974, Harrisburg, Pennsylvania, USA), former Chief Mineralogist of the Pennsylvania Geological Survey. In addition to his technical work, he wrote several collector-friendly publications including 'Mineral Collecting in Pennsylvania'. He was a founding member of the Friends of Mineralogy. The Se analogue of orpiment. Compare kalgoorlieite - the chemical (Te) analogue, but not isostructural with laphamite. The Natural History Museum, London, England, 1984,843 and E.1036. National Museum of Natural History (Smithsonian), Washington, D.C., USA, 163039. 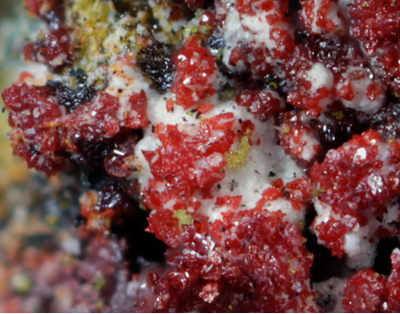 Secondary mineral formed, probably by sublimation, on a clinker adjacent to a surface vent on a burning pile of coal. Dunn, P.J., Peacor, D.R., Criddle, A.J., Finkelman, R.B. 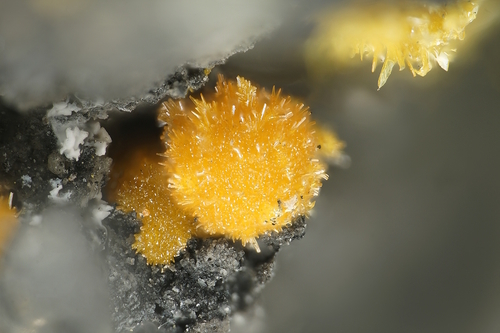 (1986) Laphamite, an arsenic selenide analogue of orpiment, from burning anthracite deposits in Pennsylvania. Mineralogical Magazine: 50: 279-282. Orpiment 2 photos of Laphamite associated with Orpiment on mindat.org. Kirkinskii, V.A., Yakushev, V.G. (1968) A new polymorphic modification of arsenic selenide obtained at high pressures (in English). Doklady Chemistry: 182: 896-898. Kirkinskii, V.A., Yakushev, V.G. (1968) A new polymorphic modification of arsenic selenide obtained at high pressures (in Russian). Doklady Akademii Nauk SSSR: 182: 1083-1086. Kirkinskii, V.A., Ryaposov, A.P., Yakushev, V.G. (1970) Synthesis of a third polymorphic modification of arsenic selenide at high pressure. Soviet Physics Solid State, USSR: 11: 1923-1924. Stergiou, A.C., Rentzeperis, P.J. (1986) The crystal structure of arsenic selenide, As2Se3. Zeitschrift für Kristallographie: 173: 185–191. Hawthorne, F.C., Jambor, J.L., Bladh, K.W., Burke, E.A.J., Grice, J.D., Phillips, D., Roberts, A.C., Schedler, R.A., Shigley, J.E. (1987) New mineral names. American Mineralogist: 72: 1023-1028. Bindi, L., Bonazzi, P., Spry, P.G. (2008) Effects of sulfur-for-selenium substitution on the structure of laphamite, As2(Se,S)3. The Canadian Mineralogist: 46: 269-274. 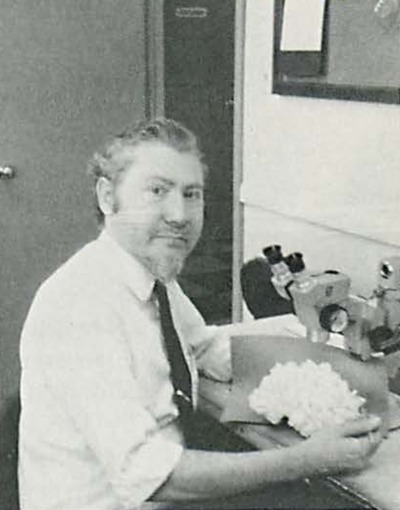 Mineralogical Magazine: 50:279 (1986), Dunn, et al.